Discover the charms of Aix-en-Provence with this gourmet tasting tour. 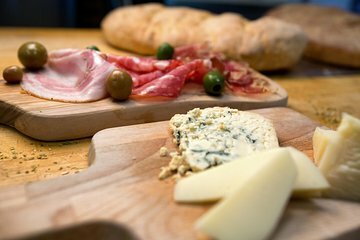 Over the course of 3 hours, you’ll walk the streets of the historic center, meet artisans and food vendors, and taste delicious treats like tapenades, Corsican charcuterie, olive oils, calissons, cheese, pastis, wine, and more. Learn about local history and culture as you explore this charming city.